Head to Amazon.com and score the new Tamagotchi for only $15.52 when you pre-order it. This blue and pink edition Tamagotchi will be released on November 5th – perfect timing for a Christmas gift! Other Tamagotchi’s are regularly sold for $24.99, so pre-ordering this one gives you almost 40% savings. 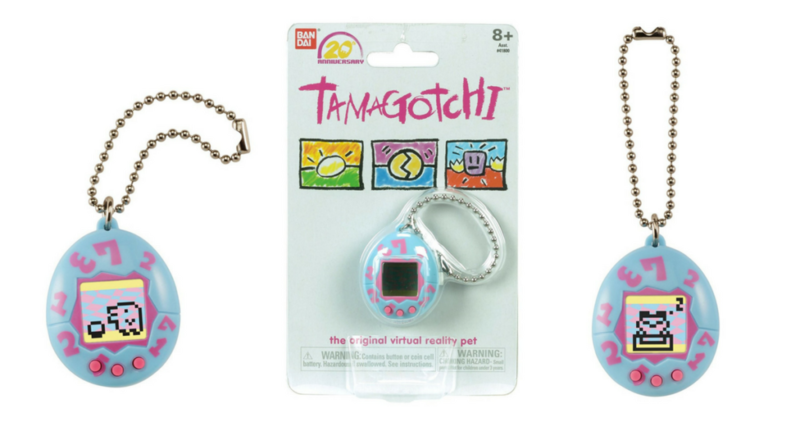 Tamagotchi is celebrating its 20th anniversary and this blue and pink edition Tamagotchi is a part of the relaunch of the original digital pet from the 90’s! Your kids can feed, clean up, and take care of their digital pet just like the original Tamagotchi game.